Salman Khan And Virat Kohli To Come Together For A Dance Music Single? 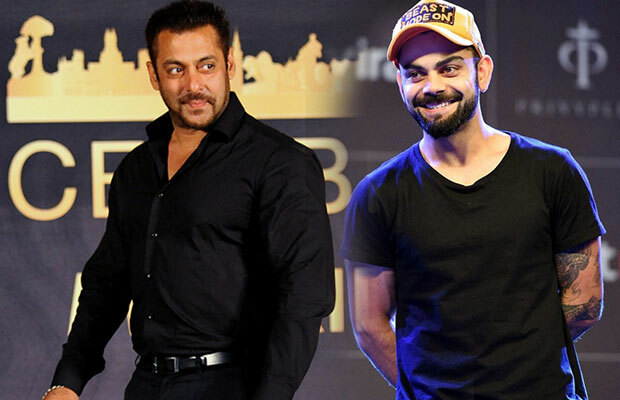 Salman Khan and Virat Kohli are ruling in their respective fields. The two super celebs might soon team up with each other for dance music single. It is in the air that Belgian DJ duo Dimitri Vegas and Like Mike are planning a massive dance single with Salman and Virat. Dimitri and Like Mike will soon be present in Mumbai for Sunburn Arena Tour. The duo will also be present in Hyderabad. The collaboration of these four celebs is still under secret wraps. The details about the same are not out. It is said that the DJ duo wants it to be a grand affair and for that, they are keeping everything under wraps. Salman Khan has many a times praised Dimitri and his fans wouldn’t be shocked if he collaborates with him. Currently, Salman is busy with Kabir Khan’s ‘Tubelight’ and also his next film ‘Tiger Zinda Hai’ is announced. Well, it will be interesting to see Virat and Salman in dance music single. Next articlePhoto Of The Day: Salman Khan’s Funny Stint For Nephew Ahil Is Too Adorable!